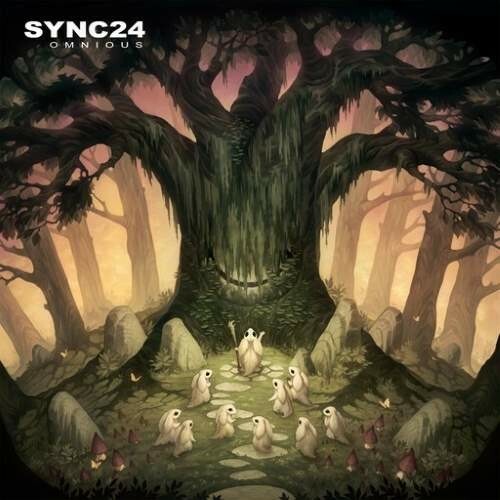 Sync24 is the solo project of Daniel Segerstad, better known as half of the Swedish psybient duo Carbon Based Lifeforms, of which Omnious is the third studio album. Originally born to release music which did not suit Carbon Based Lifeforms, Segerstad often described this project a place where he is 'free to make all the decisions, good and bad'. Sync24 is the name of an old Roland synths interface protocol and it goes without saying that Roland TB-303 is one of the main instruments used by Segerstad to create his new album. Omnious is the result of about six months of total freedom and joy, Segerstad told Psybient.org, as he recently became a full-time musician and had the chance to compose and experiment longer than ever before. The result is an eight-track ambient album (which will be shortly followed by an uptempo release Daniel has been working on for some time) where you can definitely hear the CBL imprint and sounds and the occasional weird, hoppy beat ('Bunnies On Shrooms'), and as Sync24 himself put it, 'this album is all about my freedom to do whatever I want as an independent solo artist'. To depict the mellow, organic tunes of Omnious, Segerstad got in touch with freelancer painter and illustrator Moa Wallin, whose talent created this wonderful, natural and somewhat magical artwork. Sync24 new album was released digitally this autumn, and Sidereal will bring you its cd version on.